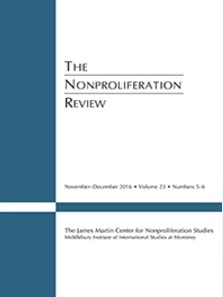 The journal The Nonproliferation Review published on volume 23, issue 5/6 the article “The ABACC experience: continuity and credibility in the nuclear programs of Brazil and Argentina”. The article, written by Mariana Oliveira do Nascimento Plum and Carlos Augusto Rollemberg de Resende, presents a historical overview of the creation of ABACC and discusses how it paved the way for the integration of Brazil and Argentina into the nuclear nonproliferation regime. Copy of the article can be obtained in the site of the journal.